In the summer heat on July 2, three celebrities sat together in a small room. One of them was the interviewer and the other two were actors from the soon-to-be released film ‘Spider-Man: Homecoming’. After a short interview about the film, Eric Nam, a well-known singer in South Korea, who is also working as V LIVE broadcast journalist, uttered a few words in English. 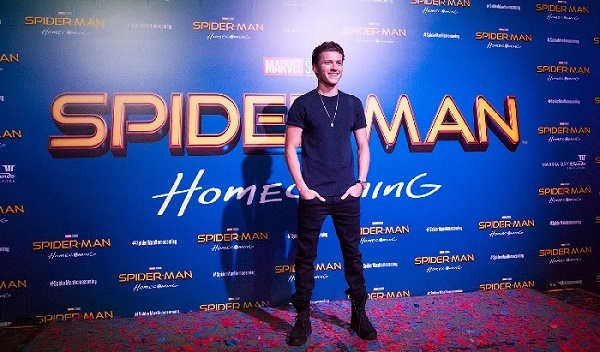 Tom Holland, a rising Hollywood star who plays Spiderman in the film, said, “You speak great English, though, man. How did you learn English?” Those words sparked huge debate on Korean SNS. While most of us will not take any offense to the comment by Holland as it appears to be said out of admiration and friendship, then why did it then unleash fury among South Korean fans? Some people said it was racist comment. Holland’s comment is said to reflect his bias against non-Caucasian English speakers. He assumed Nam would not be able to speak English well because he looked like Asian, which although is a viable assumption, some people claim it was rude. What is interesting is that Nam is actually American. He was born in the U.S. and maintains his American nationality. Yet, how was Holland supposed to know that? Ironically, because Nam is older than Holland, he has actually been speaking English for much longer than Holland. Hence, Holland’s comment is said to be spoken out of racism. People who support this point of view argue that in today’s global world it is natural to assume people will be multiple language speakers, while those who oppose the idea of racism claim Holland’s compliment was spoken out of genuine kindness and respect. Holland is actually British and not American, so he went to extra-ordinary effort to speak like an American for his role. As a result, it could be that Holland was merely impressed by Nam’s ability to speak English from an American dialect. However, another incident that many say clearly shows Holland’s racist mind is a similar comment—on the person’s English ability—made to another interviewer. On Melty Facebook Livestream (June 13), Holland is again heard as saying, “Really good English, dude” to a non-Caucasian French interviewer. Regrettably, his ill-considered comments have brought about cynicism from his fans, who now feel a sense of disappointment in their idol. Holland, however, is not alone in his need to be respectful. All Hollywood stars should have more respect for people of other nationalities and not speak out of assumption, considering their industry’s effort to promote ethnic and cultural diversity. On the other hand, this incident only highlights the strong discrimination that exists in Korea. Koreans are often discriminatory towards foreign workers and mixed-blood peoples in Korea. Even now, there are numerous children who suffer from verbal abuse in everyday life from expressions like ‘the Korean race’. Criticizing an ill-thought comment by a Hollywood star only shows how ignorant Koreans are of their own racism. As the old saying goes, “The foot of the candle is dark”, Koreans need to remember they, too, are racists or make racist comments.